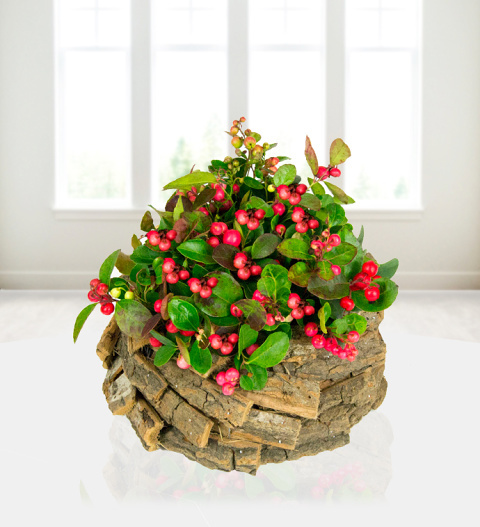 Our Rustic Red Berry display is a delightful piece to send this Christmas time. With festive greens and red winter berries, all set in a handmade wooden bark holder, this makes this a truly classic Christmas gift to send some family, friends and colleagues this Christmas. Included is a FREE box of fine Belgian Chocolates. The Rustic Red Beery Display is available for UK next day delivery. Chocolates may contain nuts.